Brandon Davies will stay with Zalgiris Kaunas for two more years. 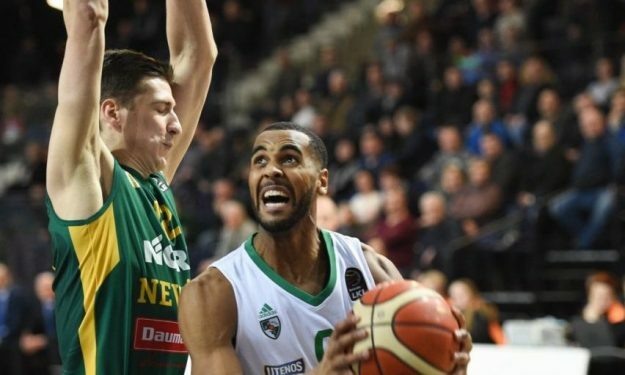 Zalgiris Kaunas announced that American forward/center Brandon Davies extended his contract with the team until the end of the 2019-2020 season. Davies had signed a 1+1 contract with the Lithuanian powerhouse in June 2017. So far he has averaged 8.4 and 3.2 rebounds in 16 minutes per game over 30 EuroLeague matches this season, helping Zalgiris advance to the playoffs for the first time since 1999. Throughout his career, Davies has also played for Monaco, Chalon, Varese plus the Philadelphia 76ers and the Brooklyn Nets in the NBA.